We are racing on the Sunshine Coast this weekend – the big long straight and the wide track and where every runner gets a chance to win! The track is rated ‘GOOD’ (Thursday afternoon) and the rail will be in the true position for the entire course this weekend. There is forecast warm weather over the coming days so let’s hope the track remains great for racing! The meeting is being held on “Australia Day” – ironically, I find myself in Mexico at this time. On assignment in Mexico and USA … umm. Do not forget the Kilcoy Race Club meeting on Sunday 27 January. This is their traditional “Australia Day” meeting as well. Last year we saw some wonderful costumes and outfits from the patrons with one really showing us “the end”. It is time – nine races – a quick review – and let’s see what we can come up with! Saxton Rock (7) from the Matthew Dunn Racing stables at Murwillumbah and with stable apprentice Clayton Gallagher aboard should be ready to peak here third up from a spell. His first up run was good, and I think you can overlook the second up run. He will appreciate the big track and will be there when the whips are cracking. Pierre Bizele (12) is locally trained by Stuart Kendrick and is on a short back up after running a solid third last weekend at Eagle Farm. All of his wins have been on his home track – so he must be respected, and he is great odds. Open race over 2400 metres – YAWN! May I suggest keep your money in your pockets! Outraged (2) won this race last year. The Kelly Schweida stable has been in wonderful form in recent weeks and his run in the Magic Millions Trophy looked great. 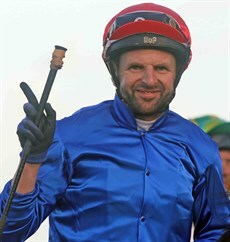 Mark Du Plessis has decided to remain with this runner as well after winning aboard Art Attack (5) last weekend. That is a good enough lead for me! Raay Of Dreams (8) is my tip here. Forget the run at Tamworth on debut – the saddle slipped, she pig rooted at the start then when she finally got her mind back on the job, she stormed home to finish a gallant third. She was well supported in that run so the Kris Lees stable must have had some confidence about what she would do. This weekend a lugging bit goes on and Ryan Maloney has been booked to ride this Dream Ahead filly. I like the $6 on offer. Note that she also nominated for a race at Newcastle – if she runs there she will be prohibitive odds but looks a winner! Another nice ride for apprentice Clayton Gallagher aboard the Tony Sears trained Barefoot (1) who ran a bottler of a race Magic Millions Day in the Guineas when defeated by Boomsara by just 2.2 lengths over 1400 metres. I thought he would need it longer that weekend and he steps back up to the mile. After the claim for Gallagher he is well weighted with just 1.5 kilograms over the limit. Red Stina (7) from the Rex Lipp stables gets in well here as well. I think she will be well suited by the mile. Jimmy Orman is aboard. Steve O’Dea has been quiet of late. However, I liked the look of the trial of his runner Invigorating (4) nearly 3 weeks ago now. She looked good and went to the line hard held. I think that she will be ready here to run a race and should get a nice trail into the race with some speed likely to be on here. Archer’s Paradox (3) is one of those runners who likes to race on the speed. She is drawn well in barrier 4 and Michael Murphy has recovered after his tumble from a runner and will take the ride. Defence Missile (1) from the Les Ross yards was awesome last time in stringing a hat trick of wins together before being sent for a spell. Again, Clayton Gallagher is in the saddle and his claim will be a decisive factor is this runner’s chances. From Within (1) was exciting in her last preparation putting together five amazing wins before the Edmonds Racing Team sent her to Melbourne to see what she could do against tougher opposition. She was not disgraced in that performance. However, maybe she had come to the end of her preparation before heading down there. She will be right in this race for a long way! Tumbler (3) is one of those horses that I can take or leave. She always races well fresh and over these short sprint distances. Barry Lockwood has put glue on shoes this weekend. She gets in well for the claim for Corey Bayliss. Do not leave her out of your exotics! A big watch on Mr Marbellouz (6) from the Kevin Kemp stables in Toowoomba as well here. He is undefeated over the distance. Edmonds Racing backup here with another solid runner in Dream Master (8) who was narrowly beaten at the Gold Coast last start by Skate To Paris. The only reservation I have is he is draw barrier 17 and has never placed here on this track. Ignite the Light (9) is from Tony Gollan’s yards. 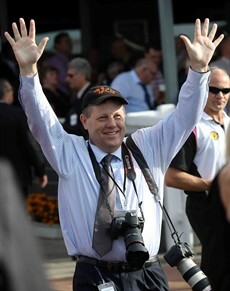 He won last start with Brad Stewart in the saddle midweek at Doomben. These two (Gollan & Stewart) has been in extraordinary form in recent months. I think if you did the stats on them you would probably find they have the highest successful strike rate of any trainer and jockey combination in Australia. Conquering Lass (15) could ran a bold race for Steve Tregea and apprentice Michael Murphy. The feature race – the 2019 BMW Sunshine Coast Cup over 1400 metres. 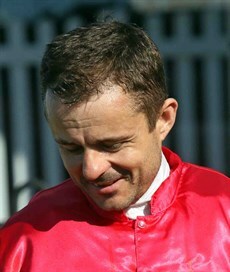 I am going to tip the Godolphin runner – Gaulois (8) with Larry Cassidy to ride. I think he is still 2 wins from 2 rides for Godolphin and he should be able to keep his 100% strike rate going here. Gaulois comes back from the mile last start at Doomben to, I think, a much better distance of 1400 metres. Blinkers go on for the first time as well. Bergerac (4) went around last weekend over the mile as well. He was superbly ridden by Clayton Gallagher, as Michael Murphy came off a ride two races prior and could not take the mount. He was just outsmarted by Jeff Lloyd on that occasion who had the drop on him a long way from home and timed his run to perfection on Emphasis to just pip him on the post. Back to 1400 metres this weekend watch out! Shogun Sun (11) ran a great race in the Magic Millions Cup won by Redouble. He has won here before for trainer Kelly Schweida and represents another nice live chance for jockey Mark Du Plessis. Big chance for the local trainer Stuart Kendrick to quinella the race with his two runners – Coral Bay (2) and So Invincible (6). I was not disappointed as were many others were with the run of Coral Bay (2) at Eagle Farm. I think there were plenty of excuses and he got knocked down at the start. This is the last chance for me – I just love his record on his home track – 8 starts – 5 wins and 1 third. Brad Stewart takes the reigns this weekend and is there anyone riding in better form than Brad in Brisbane now? Coral Bay has winkers back on this weekend. The stable mate is So Invincible (6) who I thought was a touch unlucky in the Magic Millions Country Cup. If you can forgive that run I think he has a great chance here at odds! Cool Sequence (4) ran in the Magic Millions Country Cup as well. He looked like he had every chance. However. Does always perform well at this track. Lulu Express (11) is undefeated at the track and loves the distance! It is a pretty open field this weekend with Clayton Gallagher, Brad Stewart Jeff Lloyd and Mark Du Plessis all having serious chances. Last weekend the apprentices beat the senior jockeys 5 races to 4 across the program – will they keep on their winning streak going this weekend at the Sunshine Coast? WINNO towelled FLEMO last start weekend in our tipping competition. Remember to check out our last-minute tips and preview on Facebook on Saturday morning after the track and final scratchings have been sorted out! The feature race is the 2019 BMW Sunshine Coast Cup over 1400 metres.